Typosquatting has moved to centre stage in the domain name industry. Typosquatting is the practice of registering domain names that are misspellings or likely typographical errors of heavily trafficked sites or well-known trade marks. These domain names are then used to generate pay per click revenue, through an affiliate marketing website, from internet surfers who accidentally mistype a domain name. Affiliate marketing is a performance based internet marketing program in which affiliates are paid for sending customers or traffic to a website. Affiliate programs are driven by affiliate marketing software which tracks and logs commission for promoting the partner's website. So is there in money in typosquatting? Yes and plenty of it. So how does it work? Step 1: register a domain name that is a misspelling of trade mark (e.g. mersedesbenz.com). Step 2: sign-up to an affiliate program. Step 3: direct the domain name to a webpage of the affiliate program, which generates advertising based on targeted keywords. Step 4: wait for the misspelling and confusion to begin. The average click earns $0.05 for the domain name registrant, assume a site receives 100 clicks a day that equates to $150 per month or $1800 a year. 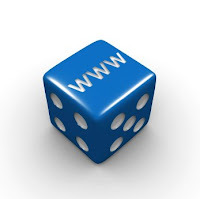 If the registrant has a portfolio of 100 similar domain names it would bring in $180 000 a year. Some typosquatting sites can generate over a 1 000 clicks a day. All revenue is derived from infringing upon a trade mark and relying on the confusion caused from a common misspelling. In order to establish whether a trade mark has fallen victim to typosquatting it is advisable to conduct a domain name audit and to implement a watch service to assist in identifying potential infringements. The most successful form of typosquatting is the use of the prefix “www” (World Wide Web) as part of a domain. This type of registration relies on the Internet user omitting the point (period or full stop) between “www” and the domain name. For example instead of typing www.hsbc.com the user types wwwhsbc.com. We list some more examples below, which all point to an affiliate website. Over the years the National Arbitration Forum has decided over 270 UDRP complaints involving domain names that had incorporated the prefix “www”. This form of infringement is increasing and trade marks owners should consider taking pre-emptive measures by registering all their well-known trade marks with the prefix “www” as part of the domain name such as wwwlexsynergy.com.